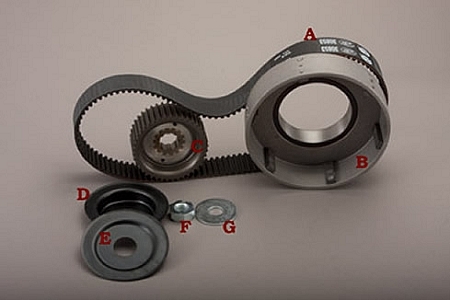 Our 11mm belt drives have been in use for years and are still going. Fact is, enthusiasts still insist these are the best all around drives on the market for vintage riders. The dependability and durability of these kits is time tested. This drive will let you use your stock clutch hub and plates or you can upgrade your clutch hub, clutch plates and pressure plate by getting BDL's CC-100-S Competitor Clutch. The 47-31-SK2 fits 1955-1964 Knucklehead and Panhead kick start models..